Cover letter is a form of self-explanatory, descriptive self-introduction that can be written in any job application. A well-crafted cover letter takes over information on your resume and expands this information for the reader. In addition, cover letters bring the employer on a guided journey with your career and achievements. The cover letter is to introduce to the reader. And its goal should be to make you as permanent in their minds as possible in a good way. It is important to prepare a unique cover letter ıf not template for any jop you apply to. There is no ‘official form’ for the cover letters. However your cover letter should be organized individual informations. Successful cover letters should be memorable introduction, specific, organized examples of your experiences and point of view to problems. What is the Aim of the Cover Letter? Your cover letter should be a selection of stories from your career that gives the reader a clear idea. Also they should realize who you are and how you can add value to their company. How a candidate’s work experience meets job requirements. How a candidate’s skills meet job requirements. Why a candidate wants to work at the organization. Your letter should provide this information and the reader should believe that you are the right person for the job. Metioned stories from your career is a great way to demonstrate your skills and give some insight into your personality and work style. Also it is important to research the company’s website to get a idea for learning their culture. Before making a craft your cover letter, compare your skills with the requirements for the position. Don’t imitate someone else. For example, let’s say that you’re applying for a customer servise manager position. It should be experience, deep knowledge of lead generation and strong communication skills in your description. Describe your previous role as customer servise manager and explain that you worked several companies and solved problems, meet expectations for your clients. End your letter with a reason for them to contact you. But don’t add remarks like, “I’ll call to schedule an interview.” It doesn’t return you, it exceeds a limitation. Instead, make sure that your statement is polite and clear, you are excited to give more information and look forward to talking with them. What are to Be Avoided? You should avoid overused statements. The avarage cover letter is have to include expressions such as ‘ Thank you for taking the time to look at my resume or I believe that my experiences and skills make me suitable for the job. These expressions certainly help to prove yourself. It never includes irrelavant informations. Irrelevant information can confuse or bore the reader, causing them to miss important points in your cover letter. How to Present a Cover Letter? 1- Your cover letter, resume and portfolio work are far away from mistakes. 2- Limit your resume to 1-2 pages at the most for to avoid making the reader bored. in a way that shows professionalism with your personality. 4- Add some color to your resume with a short catch-all ‘Additional Experience’ section at the end. Include clubs/organizations, volunteer experience, awards you’ve won, and even interesting activities. 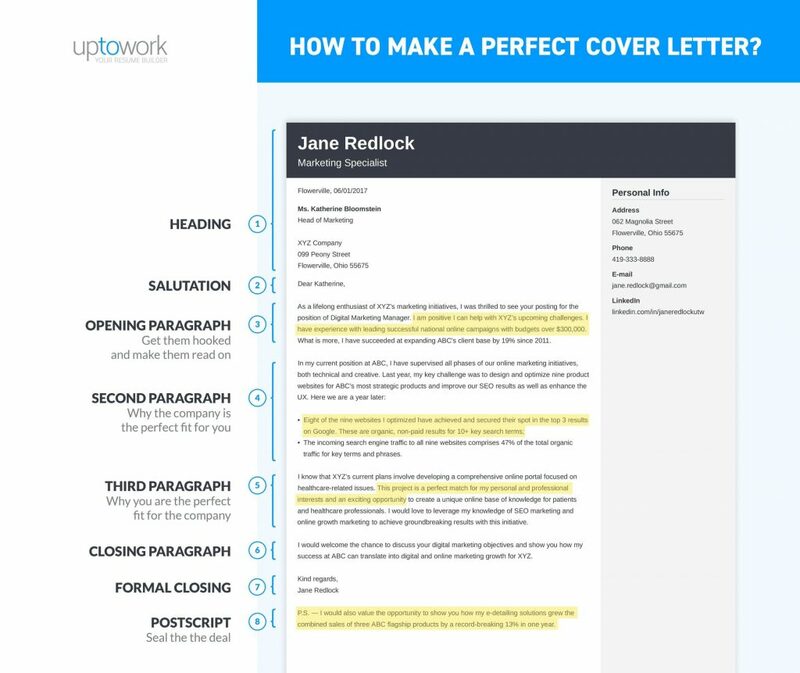 6- Your cover letter uses the requirements for the job and information on the company as a guide for its content.